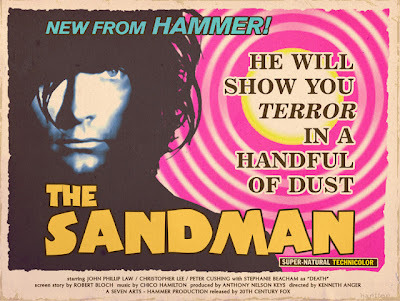 Cultural Compulsive Disorder: Sean Hartter Creates A 'Sandman' Movie Poster Specifically For Neil Gaiman... Lucky!!!! Sean Hartter Creates A 'Sandman' Movie Poster Specifically For Neil Gaiman... Lucky!!!! Check out Gaiman's Tumblr where the poster was posted by Neil Himself!! !